Here's our "best of the best" for the second week of March! Grab that free Irish Spring Gear Body Wash and don't forget that this week is also a Points Booster week! 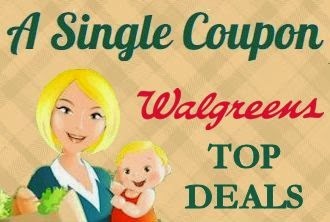 Sunday through Tuesday, you can get an extra 5,000 Balance Rewards Points ($5.00 value) when you spend $30 (after Walgreens coupons but before manufacturer's coupons). FINAL PRICE: FREE + $0.04 MONEYMAKER!